Hi Party Girls! If you’re like us, it might be a surprise to hear that Canada Day is literally around the corner, and we are NOT AT ALL prepared for that. We thought we’d give you the gift of what to do for a last minute snack to bring to a BBQ this Canada Day. This post is a little less diy and a lot more “omg I have a party tomorrow what can I make?” You’re welcome in advance. 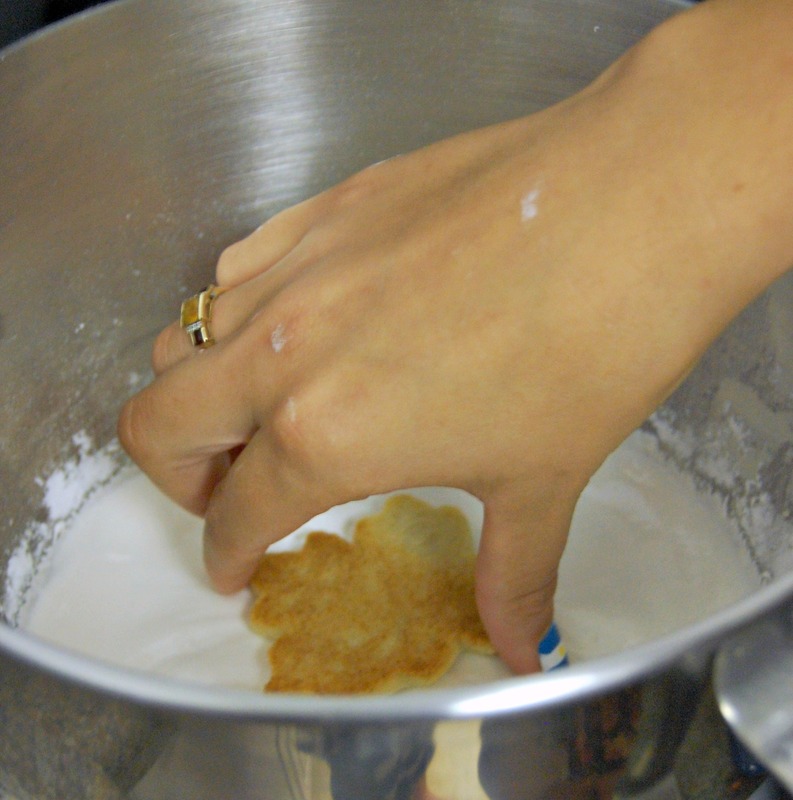 For our first trick, you need to make some sugar cookies. 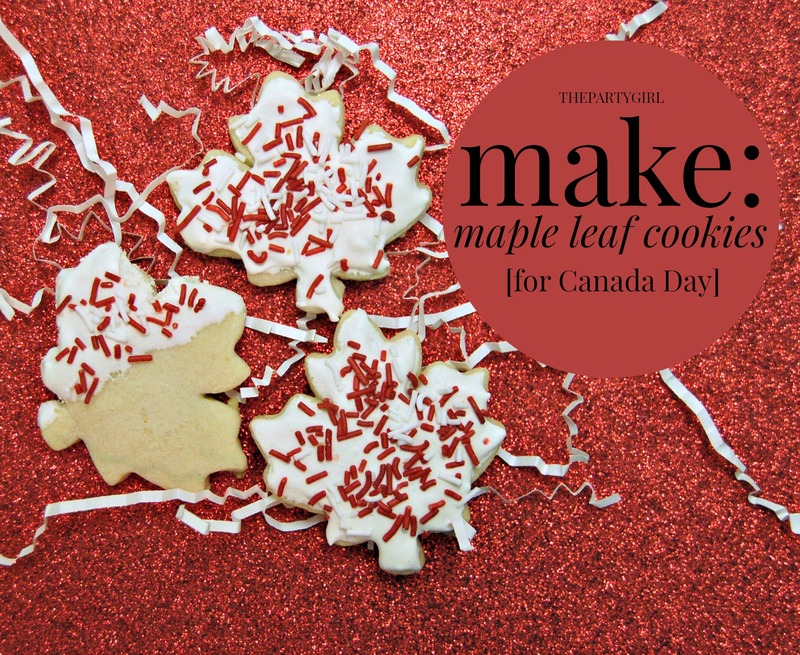 Since we’re dolls we’ve already shared our favourite recipe here, but the tricky part is finding a maple leaf cutter if you don’t already have one. Strangely not a popular choice, we had to pull some tricks to track one down (okay, we went to Bulk Barn and they had a huge selection). Make your cookies and go watch reruns of The Real Housewives. You know you want to. Now for the amazing part where we show you how quick this is. We didn’t even bother icing these. We didn’t use any form of icing spatula or knives. Aint nobody got time for that with a party looming. Instead, we dipped those little guys face first into our freshly mixed royal icing (you want it to be pretty wet, so freshly mixed, i.e. turn your mixer on for like five seconds before starting this part, is important). Ta da! 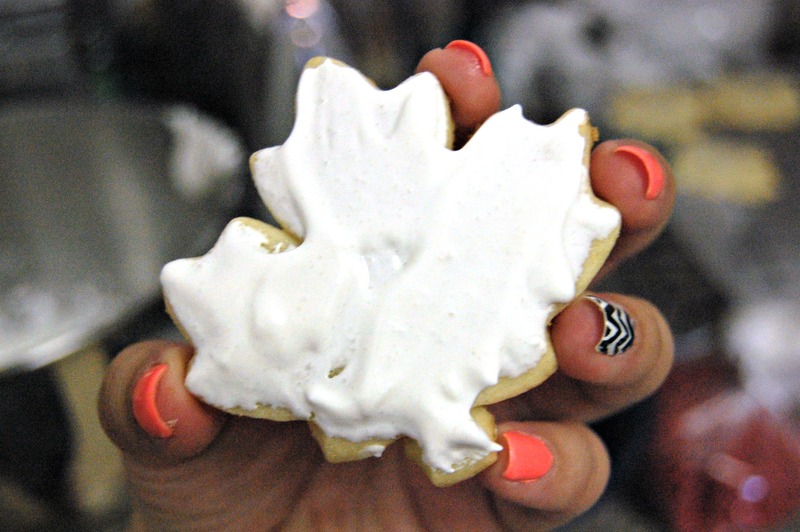 We tried some with just half the cookie dipped but we had to use toothpicks to clean up the edges to preserve the maple leaf shape and again, this was a last minute sort of deal, so we stuck with doing the whole thing. You can use a knife to smooth them out a bit. We’re not going to be all elitist and say you’re too OCD if you want them smooth. We support your choices. 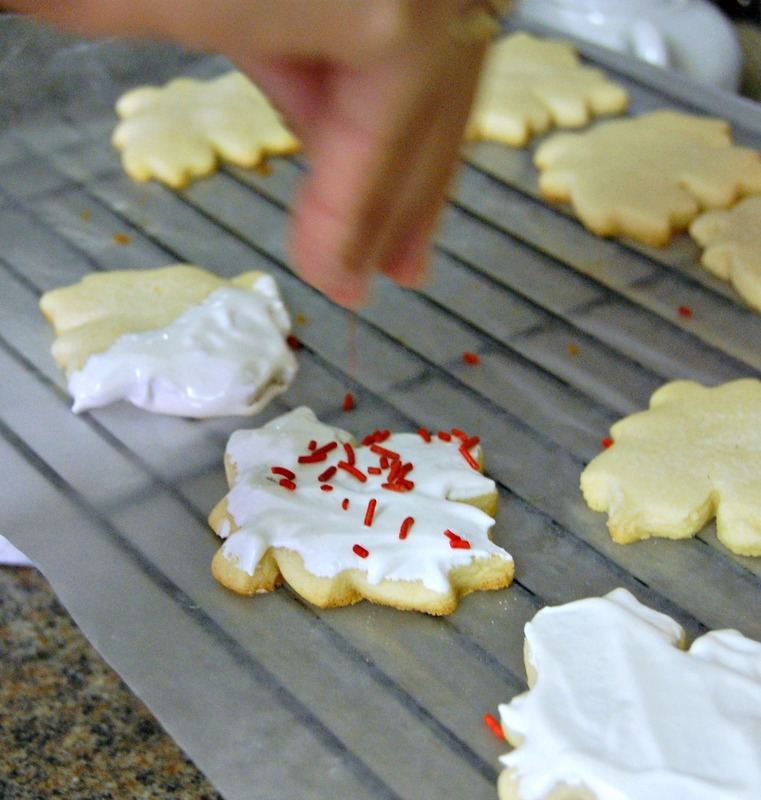 While they’re still wet (again, wetness = crucial) sprinkle some red and white sprinkles on top. 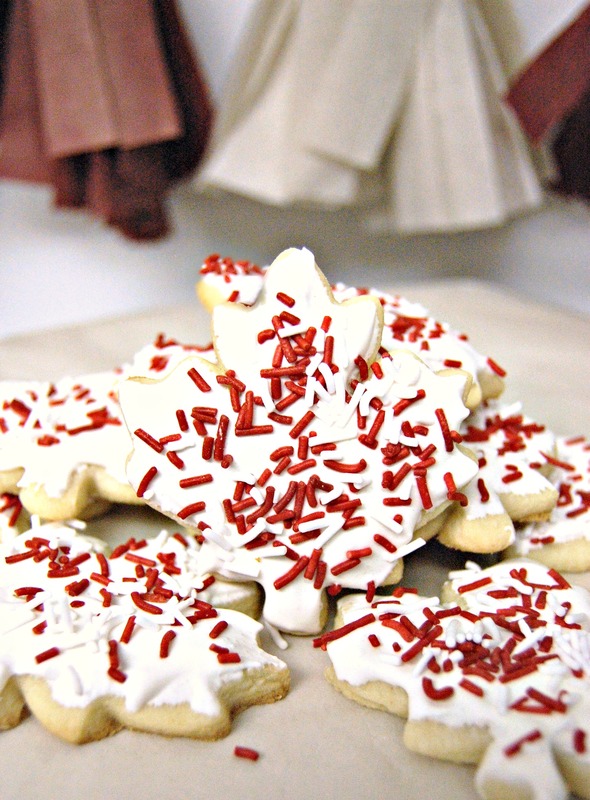 You can get creative and use maple leaf shaped sprinkles if you’ve got them, or add in some pretty crystal sprinkles, etc. The point is that regardless of what you use, this whole process takes ten minutes, and then they dry and look suspiciously elegant and adorable, BUT IT TOOK YOU TEN MINUTES.